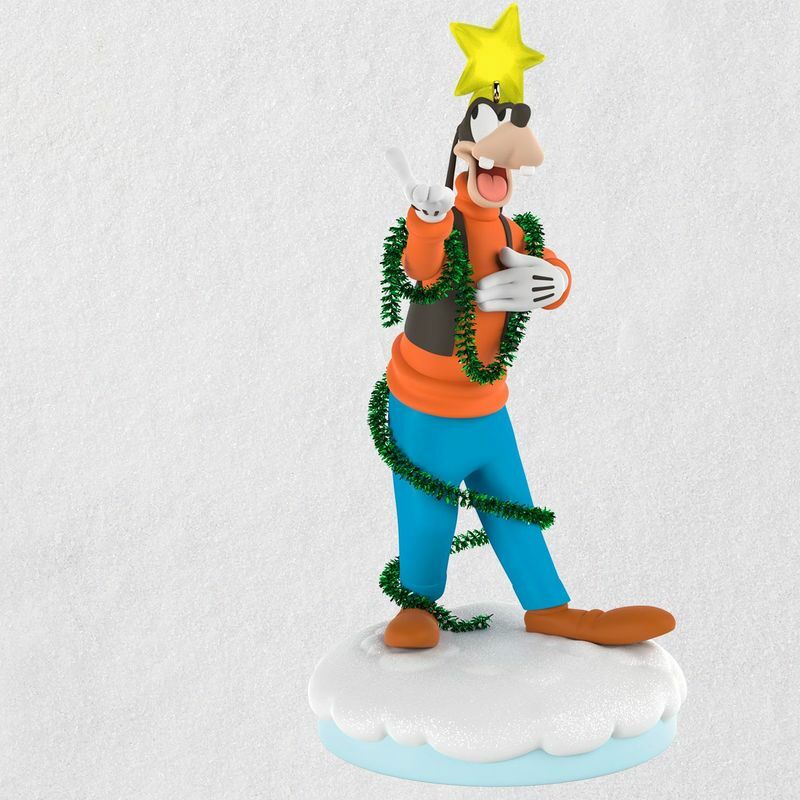 Get in the holiday spirit with a special serenade by Goofy with this Christmas tree ornament. Goofy is decked out like a Christmas tree, wrapped in tinsel garland with a star on his head, to sing you a merry tune. 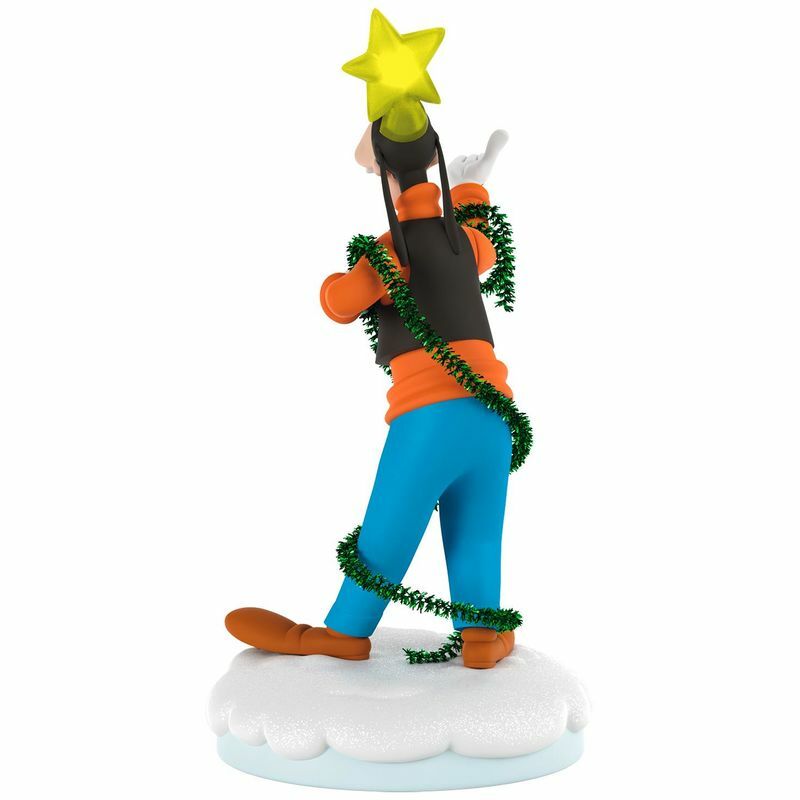 Simply connect him to Hallmark's Storyteller Cord (sold separately) to see a continuous light effect, and press the button to hear him perform "We Wish You a Merry Christmas." Connect other Disney Christmas Carolers Storyteller ornaments—Mickey and Donald, each sold separately—to unlock additional amazing interactive performances. No batteries necessary. Storytellers Interactive Sound, Light and Motion Christmas tree ornament. Connect this ornament to Hallmark's Storyteller Cord to see the continuous light effect. Press the button to watch it perform a happy holiday tune. Requires Hallmark's Storyteller Cord (sold separately). No batteries necessary. Plays music from "We Wish You a Merry Christmas." Add additional Disney Christmas Carolers ornaments, each sold separately, to unlock additional interactive performances. One StorytellerPower Cord powers up to 7 Storyteller Ornaments.